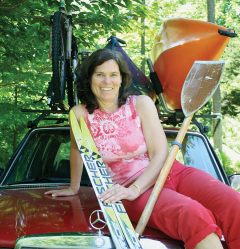 March 31, 7pm, Cycle of Rice talk by Jan Reynolds — Peacham Library welcomes Jan Reynolds, author (14 children’s books and two adult books), wilderness photographer, world record holder and one of America’s best known and articulate spoke’s person on mountaineering. Cycle of Rice will dig into concepts of environmental sustainability and the connection of our great human family. The talk explores rice farming in Bali, spends time with Indonesian rice farmers to learn why and how they live sustainably and then explores the link of celebrations around the world, illustrating we are one human family celebrating life on earth. Find out more about Jan at her website — http://janreynolds.com/index.html. April 3, 10am-noon, Coffee Hour – join us for a cup of coffee or tea, a sweet or two and good conversation. Suitable for all ages!